With Education & Research being one of the four pillars of Sea Mercy’s remote island programs (health, education, economic development and disaster response), we are extremely excited to announce that the Founders and Directors of Acton Academy Schools have generously pledged $100,000 toward the Sea Bridge One vessel build fund. 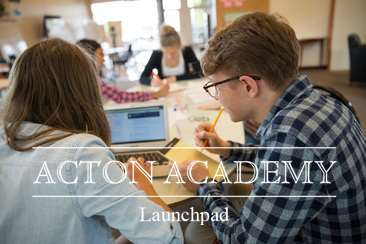 Acton Academy Launchpad 2016 from Acton Academy on Vimeo. When you visit their website, one of the questions they ask their students is, “Would you prefer a traditional high school or the adventure of a lifetime?” This reflects the approach Sea Mercy takes with our volunteers and for the remote island communities that we serve. The concept of developing an Acton Academy at Sea program as part of their high school (Launchpad) curriculum and would include students and teachers. We are happy to have one Acton Academy student joining our RISE Program this August. We look forward too many more education & research entities building “study at sea” programs for their students. If your organization would like to explore opportunities with Sea Mercy, please contact us.